professional production of bound books quickly and easily. efficiency, while each machine is equipped with a premium coil crimper and crimper holder. different styles of bindings - right at your own workplace! important project on-time, every time. and we will make it for you! Manual Coil Punch & Electric Inserter. The Akiles iCoil Series is perfect for a small office or for any user who needs to occasionally bind coil documents. 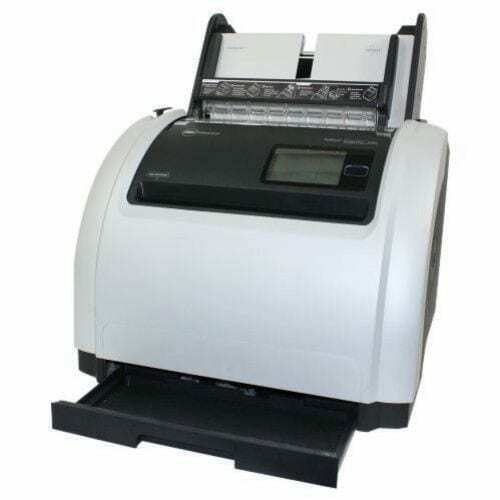 This combination binding machine offers an inexpensive way to bind coil documents easily and efficiently. Capable of punching up 15 sheets of 20lb. paper per lift, both the iCoil-41 and iCoil-41 Plus are designed for low volume color coil applications while providing the style and mechanical efficiency you come to expect from Akiles machines. This small punch makes a previously expensive binding style available to a whole new group of users, offering features such a foot pedal controlled electric inserter, a coil size selector, side margin control, and vertical punching for easy alignment. 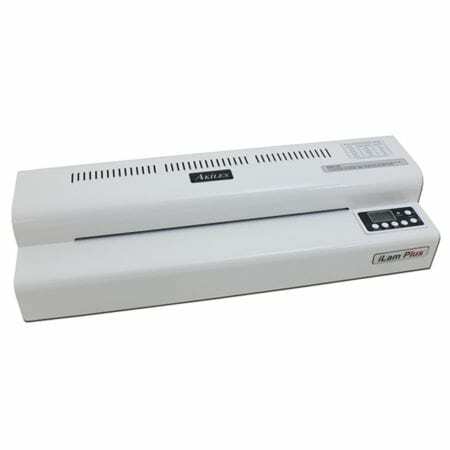 Professional 13.4” Pouch Laminator The Akiles iLam 240 and 340 Pouch Laminators were designed with a heavy duty motor and high quality components to render many years of trouble-free performance. This laminator comes equipped with a digital temperature control with a two color indicator knob, controlling both power and heat levels. The Akiles iLam 340 is easy to operate and provides you the durability and finished quality you would expect from an Akiles machine. Heated rollers in the Akiles iLam 240 and iLam 340 render crystal clear and bubble free lamination. The Akiles iLam Series is able to laminate all standard pouches, of various thicknesses, composition, or melting point. 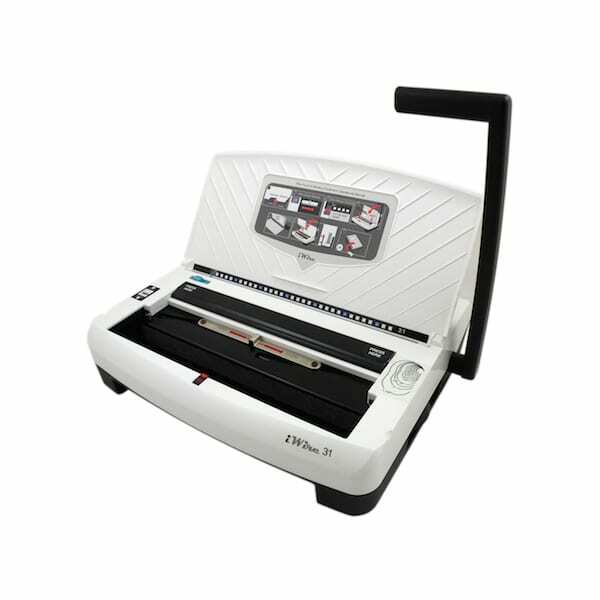 The Akiles iLam 340 is easy to use with an ingenious easy jam release and reverse button, making your laminating tasks worry free. 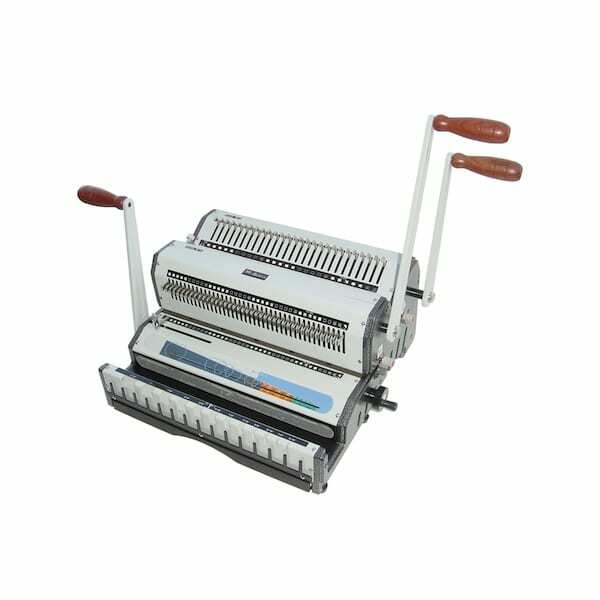 Wire Punch & Binding Equipment With its modern and compact design, the iWire punch and binding machine is the perfect all-in-one solution for any office environment. The simple 2-step setup and 15 sheet single punch capacity makes your binding job easier than ever! Equipped with built-in wire master selector to help determine correct wire size to be used for any given book thickness. Includes vertical punching to ensure document alignment with every punch. Individually cast-hardened and heat-treated steel punch dies ensure years of trouble-free operation. The economical iWire also features an ergonomic handle, wire closer selector, wire scatch and anti-dust cover. The new GBC CombBind® C800pro Electric Plastic Comb Binding Machine sets the industry standard for electric comb binding machines. 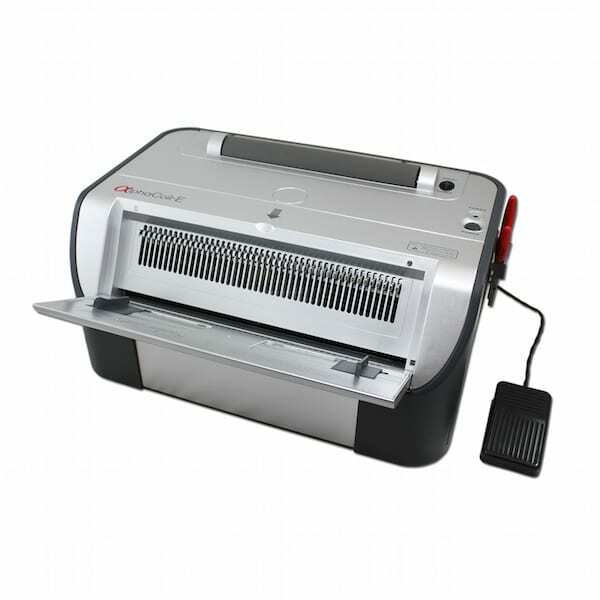 This all metal plastic comb binding machine is extremely well built and is meant to stand the test of time. 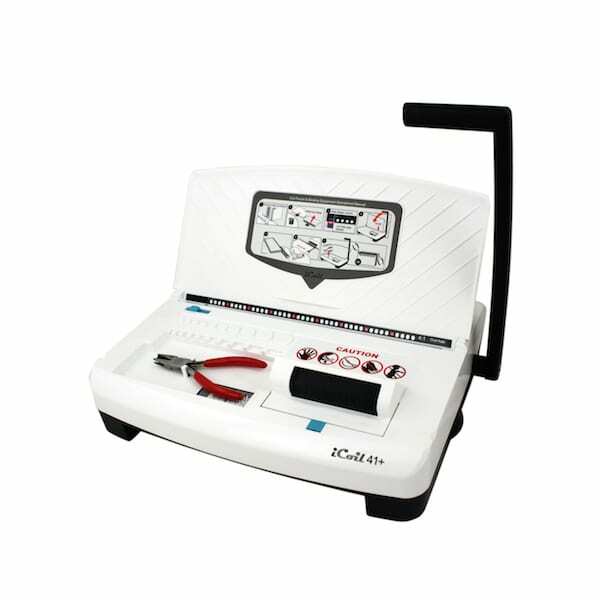 The GBC C800pro includes a heavy duty foot pedal operated comb binding punch with a manual plastic comb opener. This system includes separate punching and binding controls for increased productivity, as well as adjustments for standard/oversize covers and punch depth. The C800pro includes an extra-large drawer for paper chads. Punch capacity is 25 pages; sheet binding capacity 425 sheets. This finishing powerhouse delivers the capacity and durability you need. 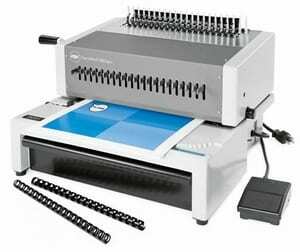 Designed for heavy binding users, the C800pro comb binder features adjustable pins to allow punching of any size document up to 12" wide. The CombBind® spine design allows pages to lie flat and edits can easily be made. The C340 and C450E make CombBind®/ZipBind® binding fast and easy! Bind up to 425 sheets of paper at a time for fast, customized bound documents. The sleek, compact design makes these models ideal creating presentations, training classes, manuals almost anywhere. The exclusive Paper Centering System aligns pages for perfect punching — up to 25 sheets per punch. Plus, the built-in Document Separator feature divides your stack of sheets into the right amount of pages for faster, more efficient punching. The C450 features convenient push button electronic punching. The ProClick® ProntoTM P3000 system offers integrated punching capability and automatic binding of the ProClick® spine. 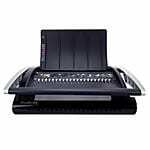 Easy-to-use and highly versatile, the P3000 provides professional, high-speed binding capabilities to a multitude of shared environments: corporate departments, educational and training settings, executive offices, and administrative groups. 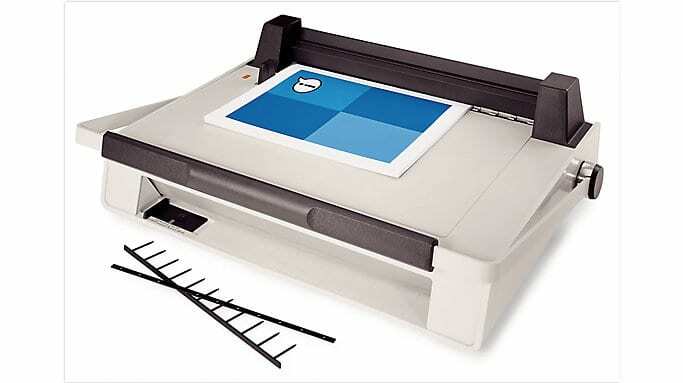 And, with a footprint similar to a laser printer, the P3000 can sit almost anywhere. This maintenance-free binding system is easy-to-operate and requires no training. The intuitive LCD interface provides instructions as you bind. The machine is equipped with a document sizer to indicate the correct spine size, while the alignment guide ensures precise punch hole location. The P3000 system is automated for high-volume production, with a six-second cycle that binds up to 450 books per hour. Pre-loaded 20 spine cassettes eliminate the need for loading individual binding spines. 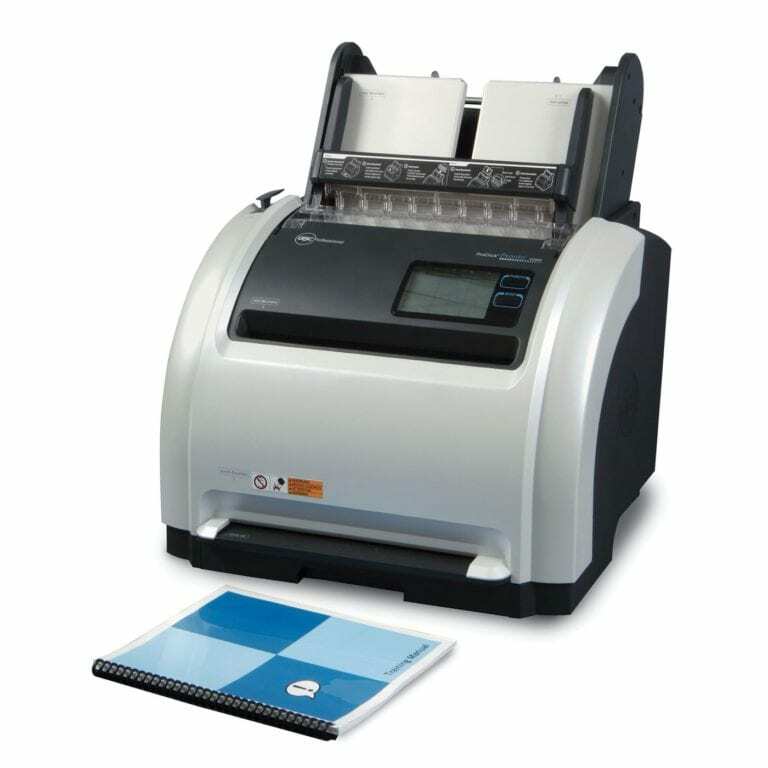 SYSTEM ONE Manual Punch / Electric Finisher Get professional-looking VeloBind® or SureBind® results with this all-in-one punch and bind system. The manual punch handle is convenient for right or left-handed use. The pressure bar and alignment guide hold documents (up to 1”or 250 sheets) in place during electric finishing. Ready light indicates when binding is complete. Extra-large drawer for paper chips and pin debris. System One creates a professional, book-like finished document, great for filing, stacking and mailing. And, with Hot Knife binding technology, spines permanently lock pages into place to keep reports and proposals secure. These spines come in a variety of sizes and colors.